Your conversion rate is the number of conversions, whatever conversion you choose, based against the number of visitors to your website. The important thing here is that you want to understand where the traffic is coming from and then further drill down on that information as well. You should be able to separate organic SEO traffic from paid traffic and social traffic as well. This data will not only provide you with numbers on each of these but it will also let you know which source of traffic is converting best. Want to take it a step further with organic? There are tools that we use to parse organic traffic data which shows you which SEO keywords are converting and at what percentage they’re converting at. This data is super powerful. The Denver SEO company you hire should understand how these ultimately lead to better SEO campaigns. Like listed above, customer insight is the end game here. So, naturally it’s the first benefit to list. Knowing what your customers respond to and tweaking your page to give them that information faster is a great feeling. It’s also a very profitable feeling. Talk about making better use of that organic search engine traffic. This is what drives more conversions. If you can give the visitor what they want even faster then the customer experience with your website obviously becomes much better. Before I offer my Denver SEO services to a potential client or even think about starting a campaign my goal is to make sure that the campaign can at minimum be profitable at a point in the future before we start any servcies. I dare you to find another consultant that will offer you the same. Obviously if you’re converting better, say 6% at 1000 visitors a month versus 4% at that same 1000 visitors number then you’re going to be much better off. That’s 60 sales or conversions versus 40 conversions. If you’re converting users better than ever then you can roll that into other content types or other related niches. Understanding what your visitors want and how best to give that to them will ultimately increase conversions, increase your scalability and your salability if that were to ever be on your radar. How Do We Get Started With CRO? 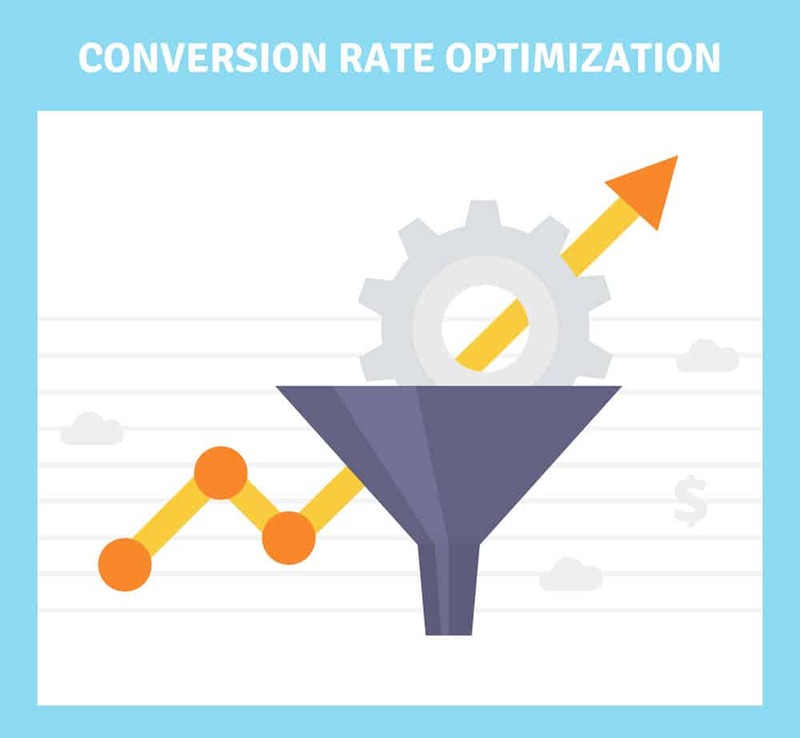 If you want to optimize your website conversion rates then you’re going to need to understand how important data points are going to be for the process. Gathering and tracking changes made will prove valuable as they can and will make the difference in real dollars through conversions. What things can we help to make better? When a visitor lands on your website the goal is to keep them on the webpage rather than having them hit the back button. If they hit the back button immediately this is referring to as a hard bounce. Reducing the potential for this is ideal. It also means reducing overall bounce rates and ultimately increasing sales on your website. User experience is important for your website. If you don’t provide your visitors a great user experience then you’re bound to have them bounce from the page. Giving the user what they want is part of bettering your user experience. Optimizing your funnel has a lot to do with the content you’re providing to your visitor and combining that with a valid form of conversion that makes the most sense for that level in the funnel. This gets complicated and can ultimately take hours of very thorough keyword research in order to get it right from the start. Doing this will enable you to understand the levels in the buying cycle and where your customer may be in that cycle. Knowing this information you can then provide them the content and the solution that they need. There are two primary methods that can provide results. This is done with real data on the fly. Let’s say you have plenty of traffic flowing through your website thus enabling you to track and measure data through your analytics. Setting up A/B tests can be a real boon here. This strategy enables you to make a change on a webpage and keep the other page the same. Now, we split your traffic between those two pages and see which one performs or converts at a higher percentage rate. This method is a bit different but can be beneficial if done properly. Using this method you may bring a group of potential users, people matching your customer profile, into a group so that they can test your website landing page SEO, your product/service, etc. Let’s say you bring a group of users in for testing your landing page. Ideally we want to present them three different landing pages all selling the exact same product or service. These pages will all be different. We then ask users to make a purchase on the website. They make this purchase and then we ask them immediately after how they felt about the purchase and the process, the feelings they had and more. This data can be powerful and can garner positive results. You have to be careful here as if the group isn’t large enough you could get skewed results on simple things like the color of the landing page that could be off when presented in front of a larger test group. Increasing conversions of your webpage using the traffic that’s already going to your website is the goal. Why not make the best use of something that you already have? It only makes sense. From a quality standpoint your website will not only get better but your customer’s user experience will get better. This will enable you to grow your business by making better use of something you already have, traffic. Not only does a better user experience enhance the trust of your customer but it makes them much more likely to recommend your business to someone else.